Three abattoir workers have admitted causing suffering to animals at the point of slaughter following a three-year battle to bring the case to court. The owner of Bowood Abattoir, William Woodward from Catesby in Daventry, also pleaded guilty to failing to prevent acts by employees which caused the animals to suffer. A similar charge against his father Robert Woodward, was dropped after no evidence was offered by the prosecution. The trial was held at Northallerton Magistrates Court on Monday (January 22). 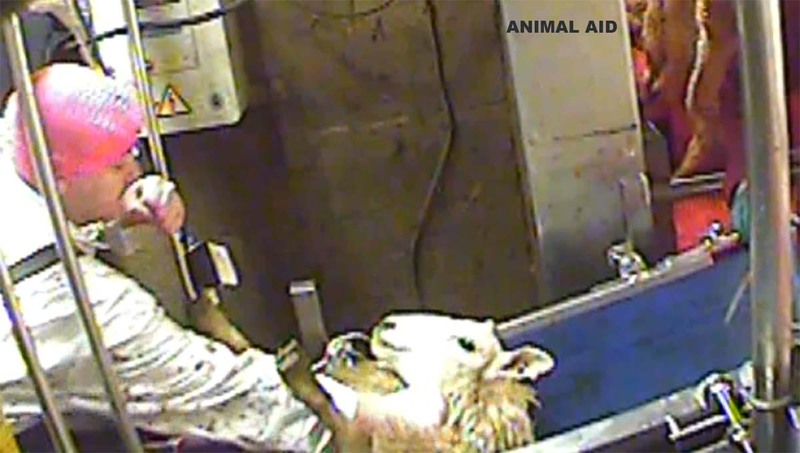 It followed undercover footage at the abattoir in Thirsk, North Yorkshire from campaign group Animal Aid which it said showed ‘incidents of shocking animal cruelty’ between December 1 and 9 2014. This included sheep being kicked in the face, slaughtermen taunting the sheep by waving knives and hitting them and hacking at a sheep’s throat. Under the halal code, animals were supposed to be killed quickly with a single sweep of a surgically-sharp knife. Artur Lewandowski, 33, of Ribble Drive, Darlington, admitted a charge of causing unnecessary suffering to four sheep by lifting them by their fleeces during the slaughter process. Kabeer Hussain, 44, of Brantwood Road, Bradford admitted one charge of failing to give 24 sheep sufficient time to lose consciousness after they were slaughtered. Kazeem Hussain, 53, of Haworth Road, Bradford, pleaded guilty to two charges - one of not giving 19 sheep sufficient time to lose consciousness after they were slaughtered and a further charge of failing to cut the throats of six sheep in the required manner with a single cut. The case was adjourned for reports and transferred to Leeds Magistrates Court for a hearing on March 2.